Does Your Alternator Need Repair Or Replacement? Your vehicle’s alternator is responsible for several things. Its basic function is to create an AC current while the engine is on which powers accessories and keeps the battery charged. If your alternator is malfunctioning or just old and not performing as it should; it can cause problems beyond just needing replacement. Your battery and other electrical components can be drained or damaged by a bad alternator. If your battery warning light comes on, or you’re noticing unusual behavior from your lights when your car is idling at a stop; come in and have our experts figure out what’s going on. 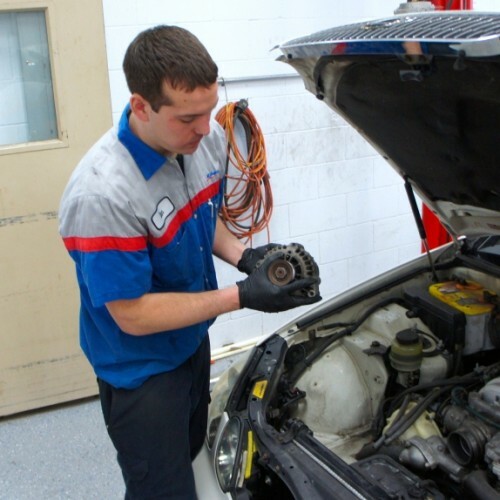 Certified Auto Repair is fully equipped to handle any alternator service or replacement correctly. Our team is about keeping you informed and safe, not generating larger tickets. Give us a call, schedule online or stop in and see for yourself why Mound and Spring Park’s best alternator service is at Certified Auto Repair.